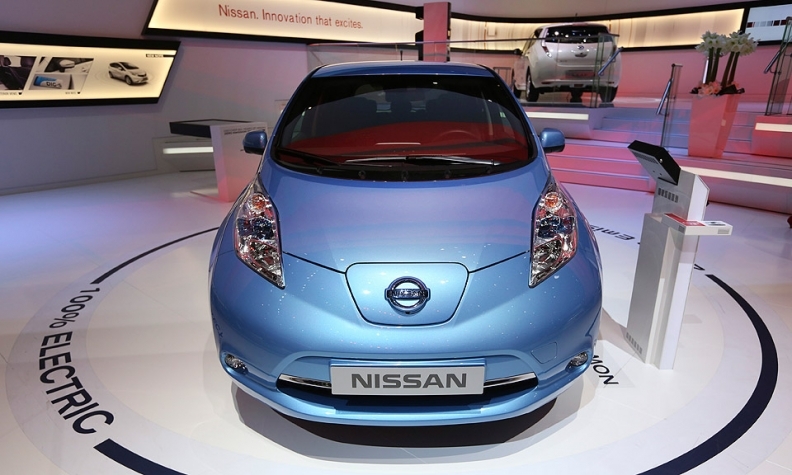 As rated by the EPA, the 2015 Leaf can go 84 miles on a full charge. U.S. sales rose 34 percent to 30,200 vehicles last year. DETROIT -- Nissan Motor Corp. is very close to eliminating range anxiety with its next-generation electric vehicle battery, Chief Planning Officer Philippe Klein said. Klein declined to give a timeline for expanding the electric car’s driving range, but suggested the breakthrough could come around the debut of the next-generation Leaf electric vehicle. That car may arrive around 2017 or 2018. Nissan CEO Carlos Ghosn revealed on a Japanese TV broadcast in November that Nissan is preparing a second-generation EV battery that will “double” the current battery range. But Klein declined to comment on future range targets. Klein joined Nissan last September from the Japanese carmaker’s French partner Renault SA. He replaced Andy Palmer, who left Nissan to become CEO of Aston Martin.